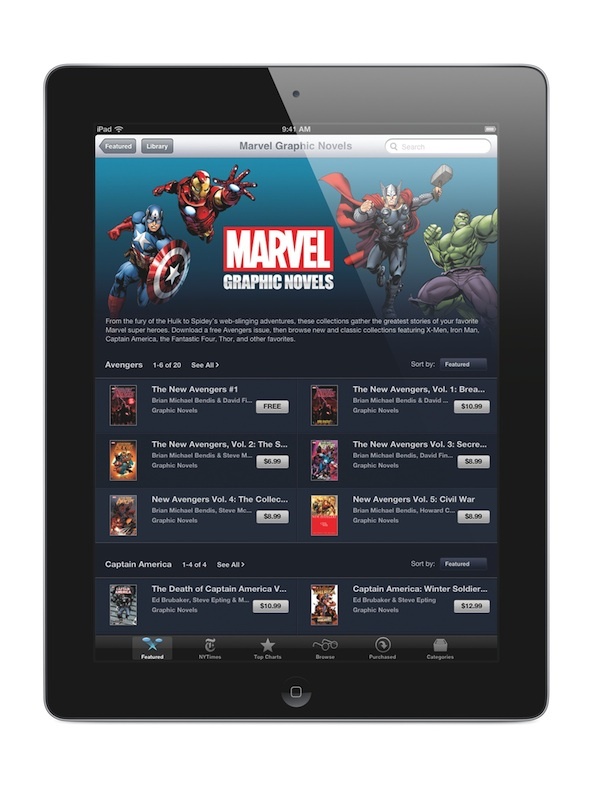 Marvel on Tuesday announced that more than 80 of its graphic novels are now available on Apple’s iBookstore. According to Marvel, Civil War, Avengers, Stephen King’s Dark Tower, Castle: Richard Castle’s Deadly Storm, Spider-Man, Wolverine and Astonishing X-Men are all among the titles available. The novels can be read on the iPad, iPhone, and iPod touch. To get you started, Marvel is giving customers a chapter from New Avengers Vol.1. for free.